What Types of Computer Issues Do Registry Cleaners Fix? Do Registry Cleaners Fix Many Kinds of Computer Issues? Do registry cleaner programs fix a lot of different kinds of computer problems? Isn't the Windows Registry the most important part of Windows and so has the biggest impact on what's working and not working in Windows at any given time? "What kinds of computer problems should I expect a registry cleaner program to automatically fix for me?" The only real computer "problem" that registry cleaners are good at solving are error messages about missing files, especially those that appear as Windows starts up but are easy to clear with an OK or Cancel click. Those "missing file" errors often appear because the Windows Registry references a file that it can't find on your computer. There are two common causes for that situation: malware that was incompletely removed or uninstallation routines that don't finish properly. Incompletely removed malware isn't anything to be concerned about. 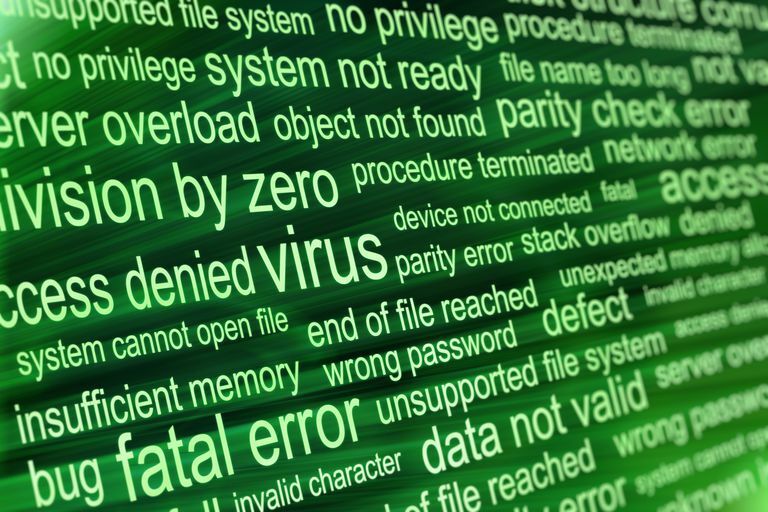 Your antivirus program no doubt took care of the executable(s) causing the actual infection, meaning the virus, worm, or other malicious software can no longer do any damage. What's left in the registry is just a "leftover" of sorts, like a bit of harmless evidence after a crime. It's a similar situation with botched software uninstalls. Maybe you didn't let a program's uninstallation process finish, maybe the software's programmers didn't code the uninstall process properly, or maybe you tried to manually remove a program instead of following its proper uninstall process. Any of these situations can lead to registry keys that mention files that aren't around anymore. A registry cleaner, being a specialized tool to find just these sorts of "useless" keys, is one part of an arsenal of troubleshooting steps at your disposal. See my What Does a Registry Cleaner Do? for more on the nuts and bolts of these tools. However, even in those cases, using a registry cleaner is just one of many useful troubleshooting steps to try and sometimes isn't the thing that ends up fixing the problem. For example, with an uninstall process that isn't/didn't work correctly, a better tool is an uninstaller utility. See my List of Free Uninstaller Software Tools for more on those. I also highly recommend searching for the specific error message you're getting using the search box at the top of this page and, if I have a troubleshooting guide for that error, following that. If registry cleaners only fix a short list of problems, why then are there so many registry cleaner programs made and then aggressively advertised to convince you that they're valuable tools to fix a long list of computer problems? As with many things in life, this boils down to money and old habits. You can read more of my thoughts on this in How Often Should I Run a Registry Cleaner?. A registry cleaner will not fix a computer startup problem. A registry cleaner will not fix a Blue Screen of Death. And, ironically, a registry cleaner will not fix any issue that Windows actually reports as a registry issue, like registry corruption, a missing registry, etc. See What Causes Registry Errors? for more on that. Registry cleaning also does not speed up your computer, an often advertised benefit of using one of these programs. See my Will a Registry Cleaner Speed Up My Computer? for more. If it sounds like I hate registry cleaners, I don't, I just don't want you to get the slightest impression that registry cleaning is a panacea for your computer's ills, a pervasive myth that seems hard to bust. Interestingly, the most useful parts of modern registry cleaners are some of their features that have nothing to do with the registry at all. Registry cleaners have morphed into overall "system cleaners" of sorts, removing not only the unused registry key here and there, but also MRU lists, temporary files, browser download histories, and more. While those things don't need to be removed either, they do contain personal information and so are handy for erasing your private information from a computer.